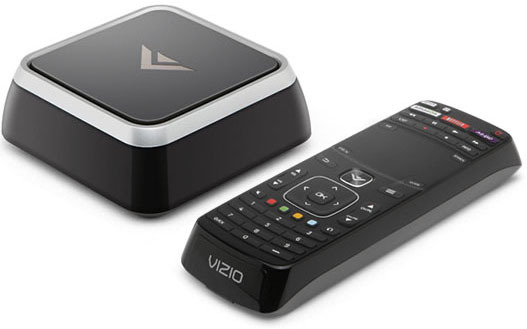 VIZIO, America’s number one LCD HDTV company, announced pre-order availability of its highly anticipated stream player, the VIZIO Co-Star with Google TV and OnLive. Consumers can now visit www.vizio.com/costar to pre-order the Co-Star for $99.99 in the US and take advantage of the limited-time offer of free shipping. August 14th is the current estimated shipping date, if you'd like to be the first with one before the box hits retailers. The added benefit of Google TV's powerful search feature lets viewers easily browse websites, hunt for streaming movies or locate their favorite TV shows; and with picture-in-picture technology, it can all be done while simultaneously watching live TV action. Complementing the overall experience, the VIZIO Co-Star includes a universal Bluetooth remote with an innovative touchpad that lets you touch, tap, scroll and drag. 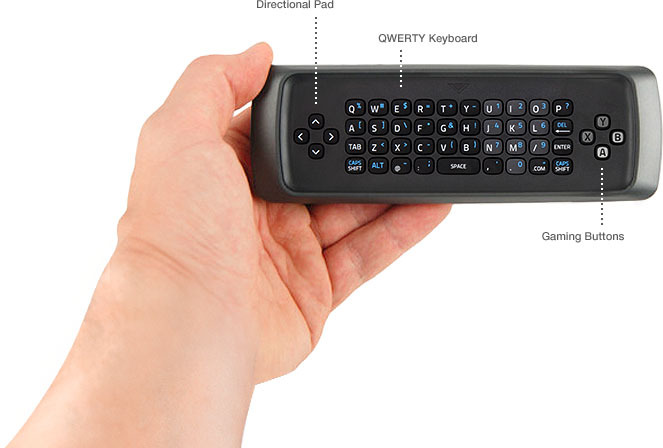 A full QWERTY keyboard helps users search for their favorite entertainment. 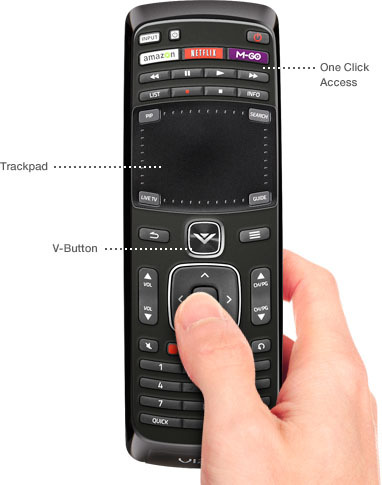 Plus, its universal feature makes it easy to control home entertainment devices with one remote. 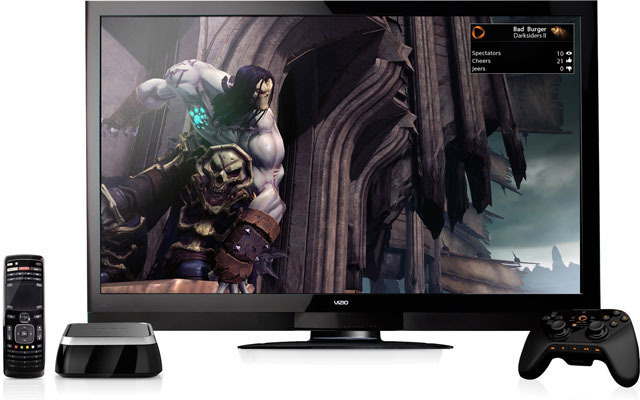 The VIZIO Co-Star has the same price as the OnLive Game System, but lacks the wireless OnLive gamepad that comes with it. The included VIZIO remote will enable basic gameplay action, but for the best gaming experience, you can purchase the Universal OnLive Wireless Controller for $49.99 or hook up a standard USB XInput controller. The VIZIO Co-Star incorporates a number of power user features intended to satisfy the variety of user demands, starting with support for 1080p Full HD and 3D entertainment. 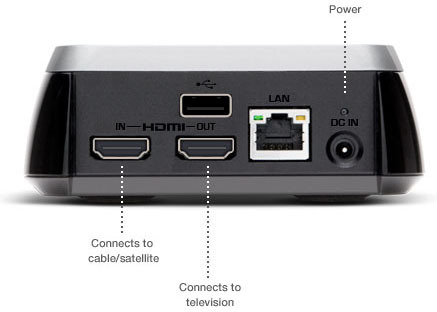 The device supports playback of H.264, MP4 and MKV videos. Built-in 802.11n Wi-Fi provides easy wireless internet access without unsightly wires. An integrated USB port connects to hard drives, keyboards and other peripherals. The VIZIO Co-Star even enables viewers to enjoy photos, music, and movies from any DLNA-enabled phone, tablet, or computer on the TV screen.